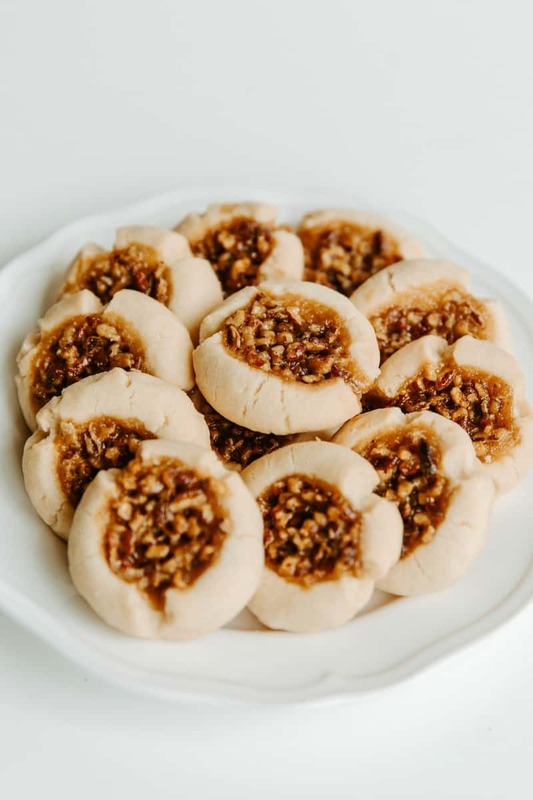 These Pecan Pie Thumbprint Cookies are such an easy way to get your pecan pie fix without having to bake a whole pie. 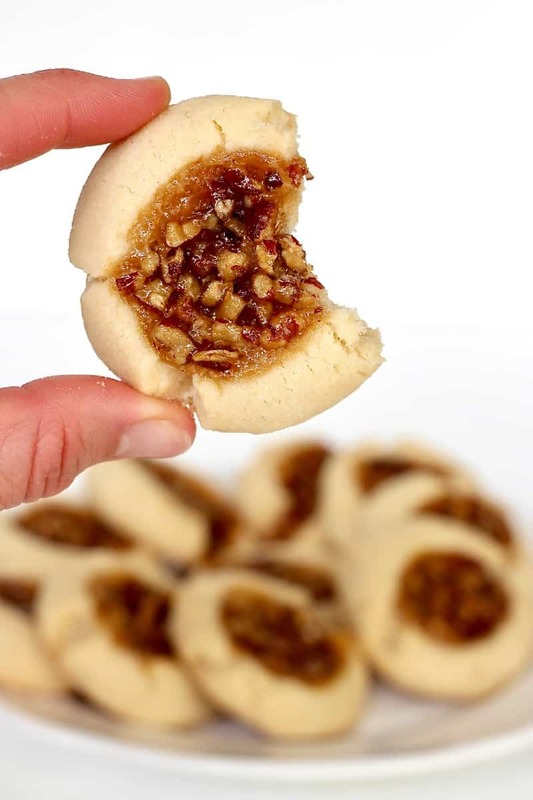 Tender, flaky, buttery shortbread cookies are filled with a sweet, gooey, caramelized pecan pie filling for a cookie eating experience that’s just too tasty to be true! 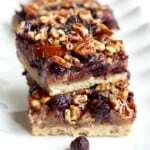 Pecan pie lovers rejoice! 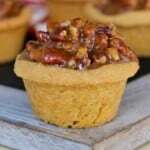 I bring you all the deliciousness of pecan pie in easy-to-make and easy-to-eat cookie form. 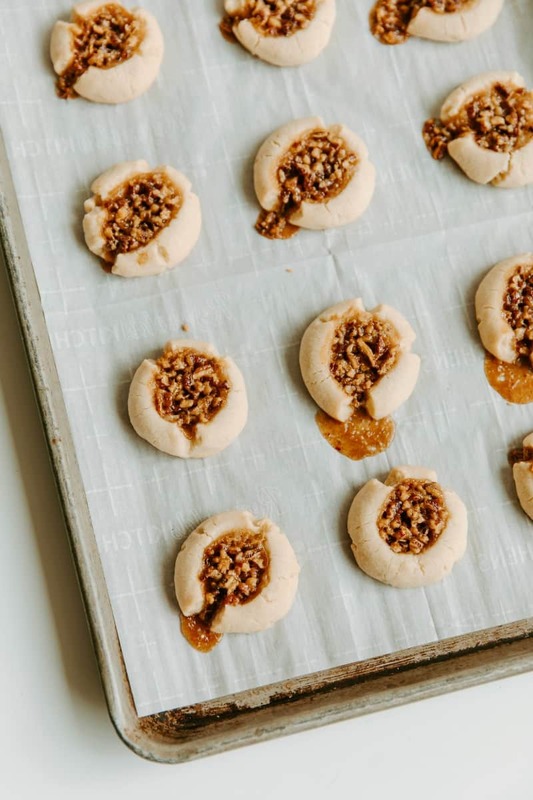 You still get that buttery, flaky, tender “crust” with the shortbread cookie and that sweet, gooey, caramelized pecan pie filling in the center, but these cookies are so much easier to make and bake than a whole pie. 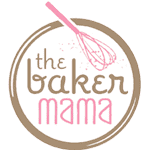 I’m so obsessed with these cookies I could hardly wait to share the recipe with you. 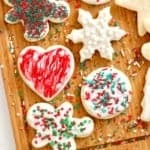 Just in time for the holidays, they’d make for a great grab and enjoy treat to set out during your Thanksgiving gathering, or take to a Christmas cookie exchange, or package and gift to your neighbors and friends this holiday season. And that’s all there is to them. 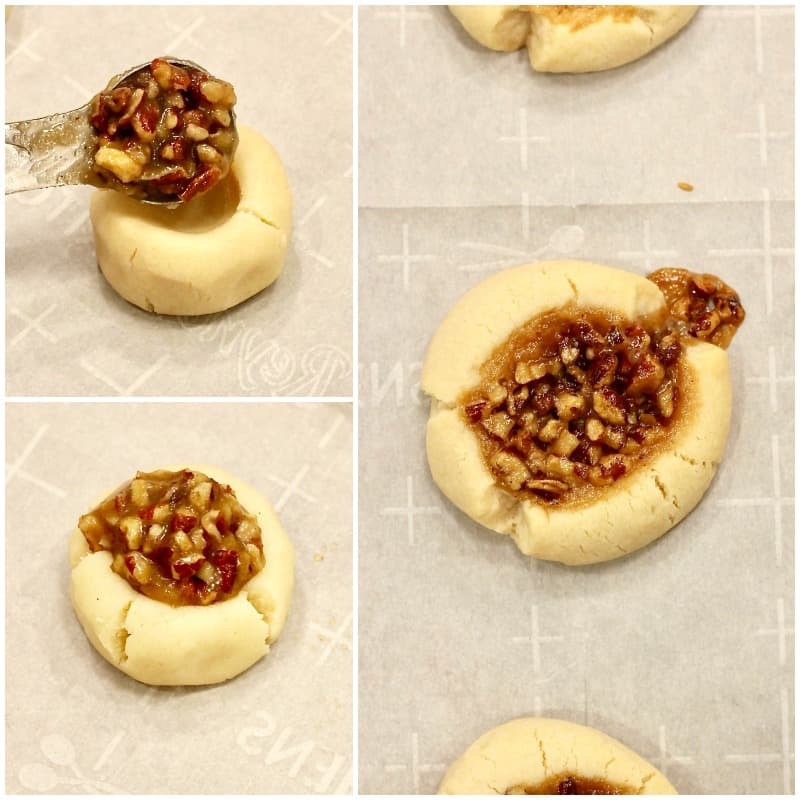 Such a great cookie to bake for the holidays that’s sure to excite and satisfy all the pecan pie lovers in your life! Happy holidays and even happier cookie baking! Tis’ the season! 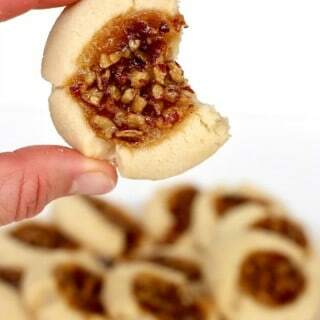 These Pecan Pie Thumbprint Cookies are such an easy way to get your pecan pie fix without having to bake a whole pie. Tender, flaky, buttery shortbread cookies are filled with a sweet, gooey, caramelized pecan pie filling for a cookie eating experience that's just too tasty to be true! Cookie Dough: In the bowl of an electric mixer fitted with the paddle attachment, beat the butter and sugar until smooth. Beat in the vanilla. 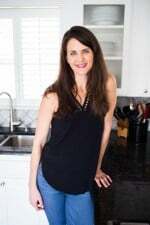 Add the flour and beat on low until just combined and then on medium-high until well combined and a thick, soft dough is formed. 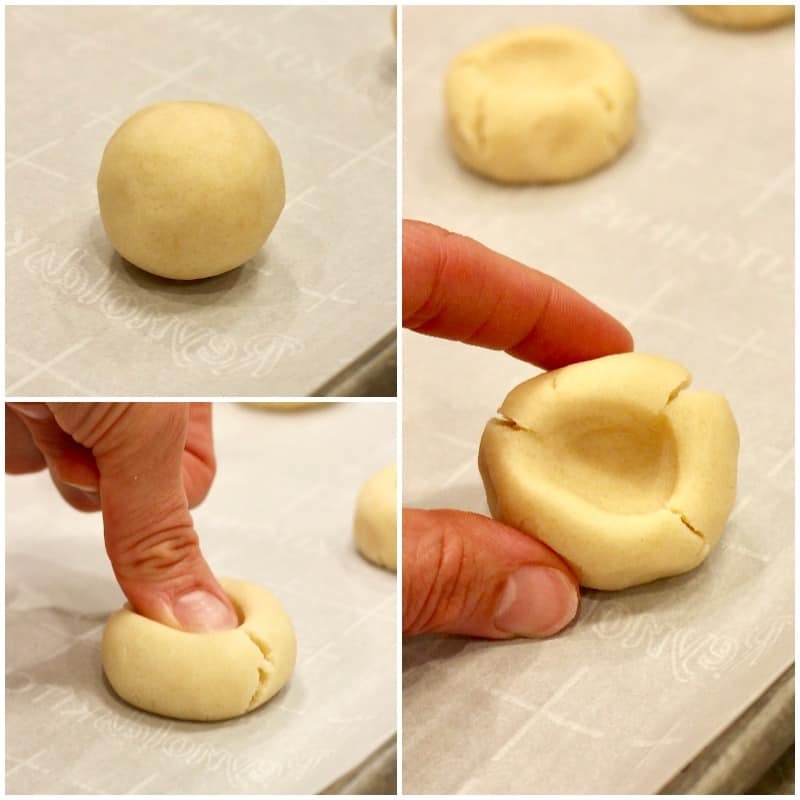 Pinch off small portions of the dough and form into 1-inch balls. Place 1 inch apart on the prepared baking sheets. 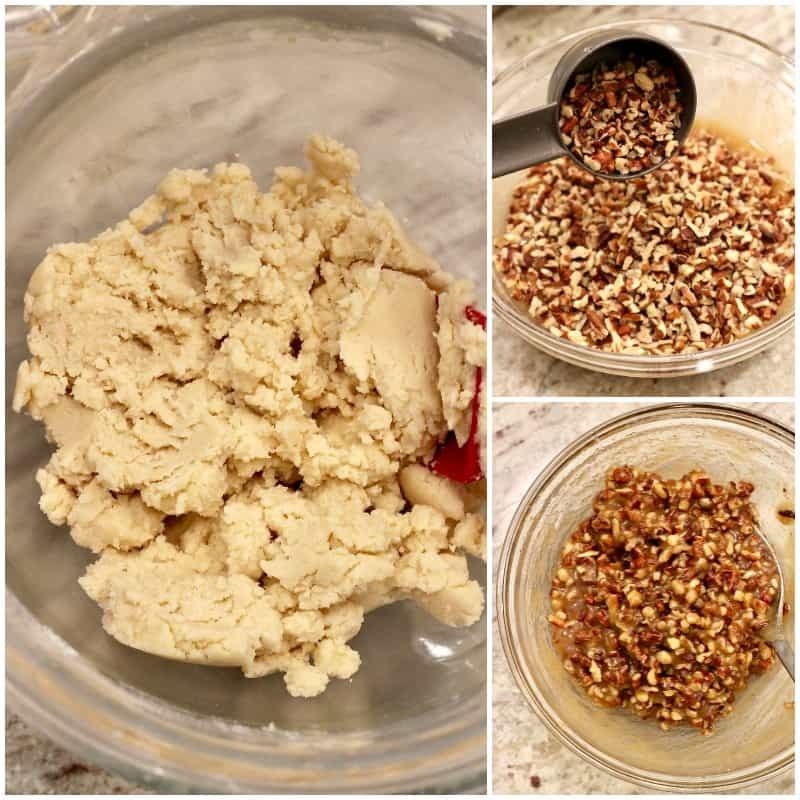 Pecan Pie Filling: In a medium mixing bowl, whisk together the brown sugar, corn syrup, melted butter and vanilla. Stir in the pecans until well combined. Lightly press your thumb into the center of each ball and fill the well with ½ teaspoon of the pecan pie filling. 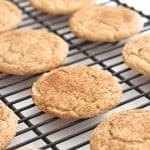 Bake for 20-22 minutes or until the filling starts to caramelize on top and the cookies start to turn a light golden brown. 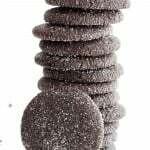 Let cookies cool on the baking sheet for 5 minutes before transferring to a wire rack to cool completely.